But everyone, from suave businessmen in Armani suits to grandmothers chatting on a stroll with friends—they all eat gelato. And like the tiny shots of espresso taken from morning ’til night, it’s a part of Italian life and consumed everywhere, all-day long. Granita di espresso on a roll for breakfast anyone? ‘Gelato‘ means ‘frozen‘ in Italian, so it embraces the various kinds of ice cream made in Italy, and that’s the best definition one can offer. 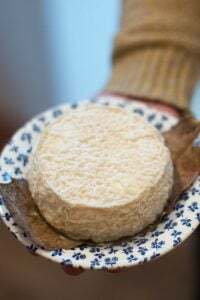 More than most countries, food in Italy is fiercely regional: in the north, near Torino (Piedmonte), the food is very earthy with white truffles and hazelnuts appearing in various dishes. 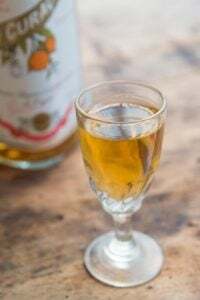 At the other end of the boot is Sicily, where the climate is far warmer so the flavors lean towards citrus and seafood. And in between are lots of villages and regions, including the Emilia-Romagna, Umbria, Campania, Tuscany, and Puglia, among others. The gelato made in the north of Italy, where it’s cooler up near the mountains, the gelato is richer, often made with egg yolks, chocolate, and most famously, with gianduja, the silky-smooth hazelnut and milk chocolate paste. In the south, ice creams tend to be lighter, and flavored with lemons and oranges. In Sicily, granite are prevalent; slushy shaved ices that are almost served like a drink, with a spoon and a straw to slurp them up, as well as fruit-flavored sorbetti. But getting back to gelato…as mentioned, gelato means Italian ice cream. But what makes it different? Well, for the most part, the machines used to make gelato move very slowly as they churn, introducing little air into the mixture so the finished gelato is dense and thick. Unlike standard ice cream-making machines, usually the ‘dasher’ (paddle) moves up and down while the canister turns, so little air is whipped into the mixture while it churns. Also the storage freezers used for holding gelato tend to be kept a few degrees warmer (up to 10 degrees F) than a normal ice cream dipping cabinet, so the gelati keeps its silky, creamier texture. When gelato is less-cold, your mouth doesn’t get ‘frozen’ and you can taste the flavors better. 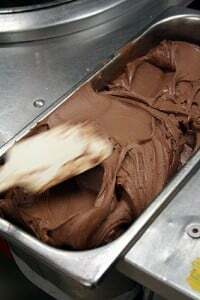 Sometimes there’s no egg yolks or cream in the base, so the gelato will highlight the highly-concentrated taste of what’s been added, like chocolate, coffee, or whatever flavoring is used, with less taste and texture of fat to coat your palate or intrude. 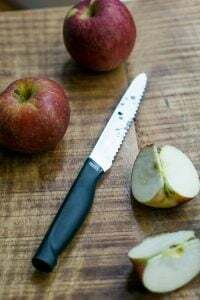 Faith Willinger notes that in the south, cornstarch or even wheatstarch is used to thicken the gelato base rather than egg yolks and there is a recipe for a cornstarch-based ice cream in my book, The Perfect Scoop, if you want to try one yourself. 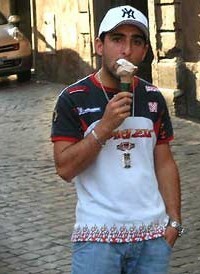 Gelato usually has less fat than traditional ice cream. When I visited Tèo’s in Austin, owner Matt Lee, who spent a year learning gelato-making in Florence, told me that his gelati average about 4-5½% butterfat whereas ‘premium’ brands of store-bought ice cream clock in at somewhere around 16-18%, or higher. He opened his shirt to show me his defibrillator that he wears, to prove his allegiance! A visit to Teo’s Gelato in Austin, Texas. Italy’s fabulous Grom comes to Paris. Il Gelatuaro gelato in Bologna. My favorite gelato stops in Rome including Giolitti. And another visit to Rome gelaterias. New York’s Il laboratorio del gelato is considered one of the best gelaterias in America. Where to find the best ice cream in Paris. 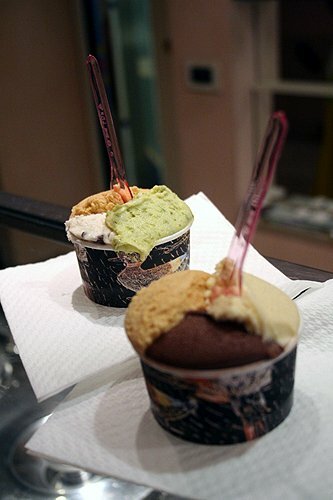 Judy, the Divina Cucina, lists her favorite gelaterias in Florence. Sara’s Tour di Gelato, lists favorite addresses in Italy. Thanks for that informative piece David! I had heard that gelato has less fat that ice cream but could not figure out why it was not more sorbet-like in that case. Your explanation makes perfect sense though. When I was at San Crispino in May I fell truly, madly, deeply in love with their pink grapefruit gelato. Astonishing stuff. The grapefruit gelato at San Crispino (though actually isn’t it sorbetto?) really is so amazing. I ate it 10 years ago and still remember how wonderful it was! Yum. Fascinating. I will have to send this to my husband who, whenever he starts discussing our planned trip to Italy, waxes rhapsodic about gelato and then goes on and on trying to describe it and tell me how it differs from other frozen treats. Hmmm…In Bologna did you really miss Gelateria GIANNI where Mario Batali got his training? David, thank you for the brownie recipe! It was a HUGE hit with my family and fun to make. 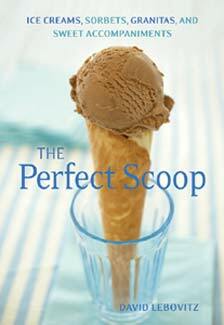 Your book The Perfect Scoop got great reviews in the Houston Chronicle today, of course we are not surprised! .Just thought you might like to know. Oh, so many memories of gelati in Italy. The most unusual one I had was licorice, in Venice, but my favorites include pistachio at almost any place that has it, and the various milk/cream/cheese flavors I found mostly in and around Florence, like fior di latte or ricotta, for their elegant simplicity. ‘Scuse me, I gotta go book a ticket to Rome right now. oh i love gelati. so nice to read this piece. and your book just arrived (finally!) in brussels, the sun is out. Hmmm … maybe it’s time for an ice cream? As usual your filled with info on your site,love the University idea, now how to get to Italy for four days while I am in Switzerland!! I love the phrase “fiercely regional,” David: I think it’s a perfect description of Italian food. I wonder if it’s possible to major in Fiercely Regional at Gelato University. I’ll start to look for the best gelati in Munich. I still dream about the pistachio gelato at San Crispino. I ate gelato every single day I was in Italy. sigh. But Giolitti is fun, but certainly different. I’m a big fan of the gelato in Torino (Caffè San Carlo! ), since I like chocolate and hazelnuts, and those rich and earthy flavors. Lisa: You might want to check out Mozza in Los Angeles. I haven’t been yet, but anything Nancy Silverton’s involved with should be great— she makes terrific ice cream. Hi Jonnyswamp: Thanks for the Italian correction (my Italian is worse than my French!) The granite I’ve had in Italy were usually slushy although at places like Giolitti in Rome, they were icy and obviously scraped due to the big crystals. The cremolate sounds great and yet another reason to get back to Italy…and soon! I’ll be sure to look for it. Thanks for the heads-up. Also, this prompted me to pull out & re-read my copy of Gelato! : Italian Ice Cream, Sorbetti & Granite by Pamela Sheldon Johns. The book begins with a lot of interesting facts about gelato and includes visits to various gelaterias across (and up & down) Italy. 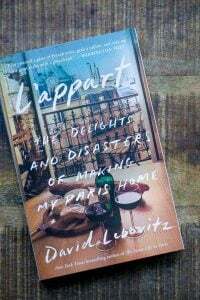 Pretty interesting reading for those wishing to delve more deeply into gelato and granite. I am from Austin and yes Teo’s is the best. next time you are here you need to try Jim Jim’s frozen water-ice, MANGO flavor, outside the Deep Eddy swimming pool. Love Giolitti’s, but some swear by della Palma’s, not too far away. Giolitti’s gianduja and its panna (whipped cream) is the best in my book. This New Yorker finds even the artisinal gelati in Manhattan to be not as good as the average sold in Italy. I have to wonder if the quality of the fruits and other ingredients is just superior in Italy? Great explanation of gelato David! For Boston gelato lovers there is Angelato (soon to be Firenze). Like velvet! 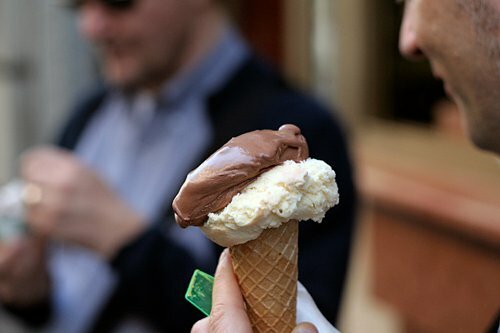 If you don’t stop poking pictures of gelato into my Bloglines, I am going to bop you. It is a mere 6 km away. 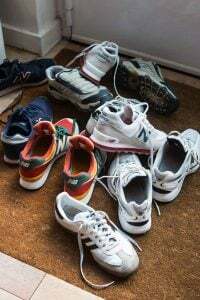 Hi David, I have been lurking around in your website for a while, but haven’t left any notes. I am going to make your Strawberry Frozen Yogurt recipes this weekend using our 7-lbs u-pick fresh strawberries that we got yesterday! On your note regarding gelato, we just came back from a 16-day trip to Italy, and we thought that the best gelato we had was actually in Milan! How about that? It’s from a place called Chocolate, then the runner up was a place called Gelataria del Moline (sp?). We thought they had THE absolute best crema flavor of many other we visited. We also visited Giollitti in Rome (walking distance from our hotel!) and agreed that they were very good. Thanks for all of the great posts! @ Brezel: if you find a tasty gelato in Munich, please tell me where you found it- unfortunatelly, the best Gelato in Germany is worse than the worst in Italia- don’t know why, becauso here in Munich there are so many Italian peope selling their Gelato- but it does NOT taste like the Itlian Gelato…Perhaps Sarcletti, but …well…hrmpf… its o.k…. To all others: Ben and Jerrys “New York… ” Ice cream ist comparabel to the italian one, except the chocolate, nuts, etc. Just the ice-cream. That tastes quite like Italian Gelato. 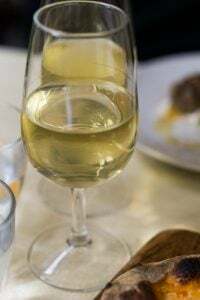 Btw: because you could not see a connection between wine gummis and wine-they are called wine gummis because ou need to use Weinsäure (tartaric acid). That is why we call it wine gummi. Hi David. Does your book include a commercial base mix recipe. One that includes stabilizers or emulsifiers? Janet: No, it doesn’t. 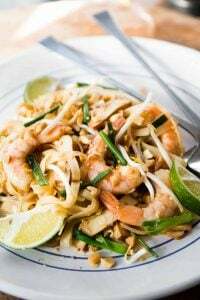 For those kinds of recipes, you’d have to consult a book intended for professionals, as those ingredients aren’t available to most home cooks. You might be interested in: Ice Cream and Frozen Desserts: A Commerical Guide to Production and Marketing. I live in Bombay where there is sparse selection of ice cream machines so I ended up buying a gelato machine (Nemox Vanity Gelato).I was wondering if it will be possible to make ice cream in a gelato machine? If I use one of your ice cream recipes, will it make ice cream or not really? I am wondering something. When I visited Europe this summer, I was able to eat gelato – without stomach distress at all – and I am lactose intolerant to the point I cannot eat any ice cream at all here in the states. I thought it was because it was made of cream, not milk, but according to your article it’s even less butterfat than ice cream. My brother thought it was because the cows in Europe are one kind and the cows in the U.S. are another and that most lactose intolerant problems are related to the milk from the kind in the U.S. — is there any possible realistic reason I should be able to eat gelato in Europe but not American ice cream? I am too nervous to try gelato made here in the U.S. to try out my brother’s theory. It simply is too painful. I just saw you were in Paris.